A one-stop shop where customers are free to choose how they receive their customer support services. 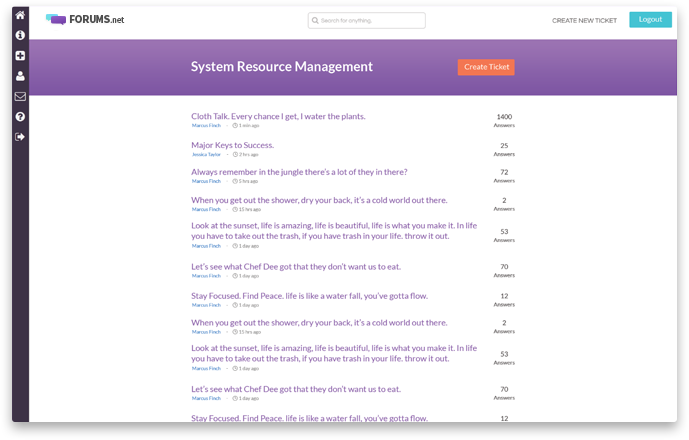 Your customers can browse your knowledge base or search for keywords in your help desk ticketing system with minimal friction. Helpful members of your support community are encouraged to contribute answers to others in need and are rewarded for successfully resolving issues. 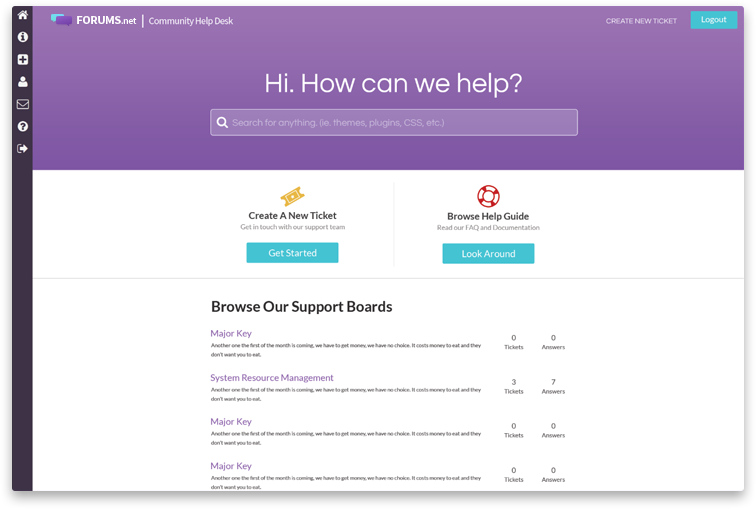 Your customers can search your knowledge base right on your community help desk. Easily add, edit or remove articles, and create sub-boards to categorize your documentation. Make sure your customers land on your site when they're looking on search engines for support. If your subscription includes InSite Forwarding, your help desk lives on your primary domain. Typical help desk pricing is per-agent, meaning your bill increases as your team grows. 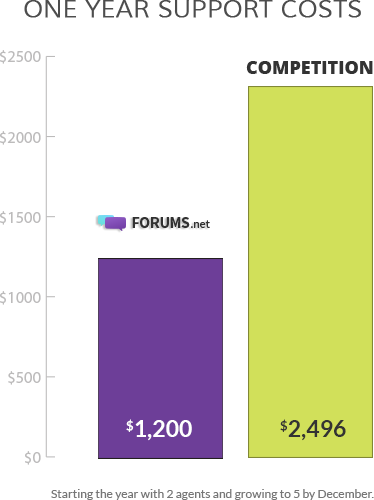 On Forums.net it's one simple price for unlimited agents. Avoid the headache of multi-channel support. Consolidate your support team's efforts with Forums.net so they aren't answering the same questions every day, saving time and money. Kickstart your community help desk today!